Plans have been concluded by the federal government of Nigeria to issue Green Bond of N15 billion later this year to finance projects in afforestation, agriculture, power (with emphasis on renewable energy sources), health, water, and transportation. 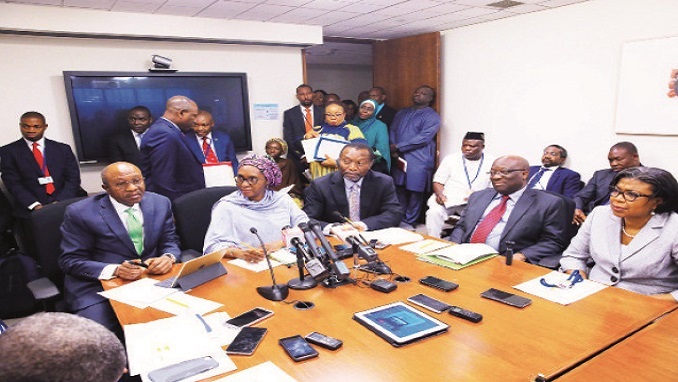 Finance minister, Zainab Ahmed, disclosed this at the coalition of Finance Ministers for Climate Action which was formed at the weekend at the spring meetings of the World Bank Group and International Monetary Fund. “This was also an effective way to engage the private sector in the financing of climate-friendly projects. Through the oversubscription of the green bonds, the private sector has demonstrated an uncommon commitment to our efforts in addressing climate change,” the minister said. Also, over the weekend finance ministers of over 20 countries, including Nigeria, launched a new coalition to drive stronger collective action on climate change and its impacts. The newly formed Coalition of Finance Ministers for Climate Action endorsed six principles, known as the “Helsinki Principles,” to promote national climate action, especially through fiscal policy and the use of public finance. The “Helsinki Principles”, conceived by a group of governments represented at a meeting led by Finland and Chile in Helsinki in February, are designed to support finance ministers to share best practices and experiences on macro, fiscal, and public financial management policies for low-carbon and climate-resilient growth. Nigeria on July 20, 2018 announced the listing of N10.69 billion, five-year federal government Sovereign Green Bond at a coupon rate of 13.48 per cent on the Nigerian Stock Exchange (NSE) and FMDQ. The bond was the first ever-certified green bond and the first in an emerging market. The bond was oversubscribed. The proceeds are being used to provide green electricity for rural communities, boost education, and support the government’s afforestation initiative. Meanwhile, the World Bank has said that the new coalition would help the countries mobilise and align the finance needed to implement their national climate action plans; establish best practices such as climate budgeting and strategies for green investment and procurement, and factor climate risks and vulnerabilities into members’ economic planning. “Finance ministries have a crucial role to play in accelerating the global shift to a low-carbon, climate-resilient growth model,” said World Bank chief executive office, Kristalina Georgieva, who added that this Coalition demonstrates new levels of ambition from decision-makers in the fiscal policy arena, and provides an important platform for finance ministers to share best practices on the jobs and growth benefits of the new climate economy. The World Bank will serve as the secretariat for the coalition and will partner with various institutions to provide strategic and technical support to governments, including the International Monetary Fund (IMF), the Organisation for Economic Cooperation and Development (OECD), UNFCCC Secretariat, UN Development Programme (UNDP), and other UN agencies.